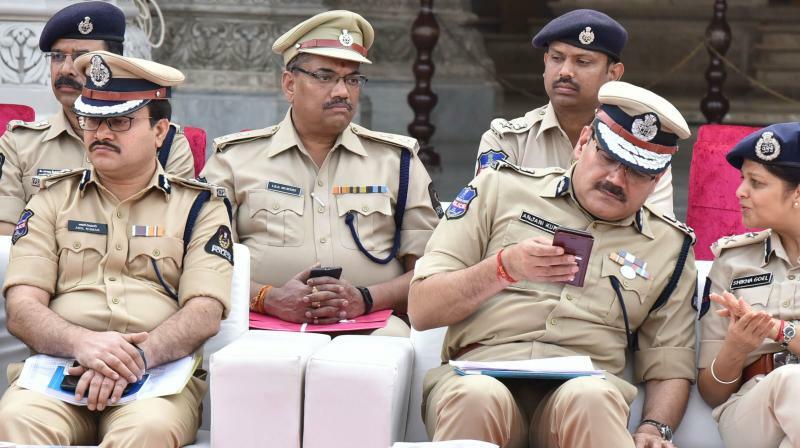 Hyderabad: The overall crime rate in the city reduced by 6 per cent in 2018, property crimes by 20.5 per cent and property recovery was 92 percent, said Hyderabad police commissioner Anjani Kumar said. Giving his annual wrap, Mr Kumar said the city remained incident-free. “The response time to complaints is considerably minimised through intensified patrolling and strategic police pickets. Travel time decreased as the speed of motor cars increased from 18 kmph to 25 kmph, and fatal accidents decreased by 2 per cent,” Mr Kumar said. He said the detection of sensational cases like the theft of an antique tiffin box worth Rs 50 crore from the Nizam’s Museum, the kidnapping of a baby from the maternity hospital at Koti, seizure of about Rs 29 crore during the general elections marked the year. The increased conviction rate of 34 per cent and sending 31 people to life imprisonment in 25 cases were among the achievements. Mr Kumar said successful strategies like invoking the PD Act against notorious and repeated offenders, constant surveillance through a criminal tracking system, cordon search operations, community CCTV installations, integrated traffic management system and the able leadership of each wing paid great dividends,” Mr Kumar said. The city police achieved international recognition and bagged both the Smart City award and the E-Governance award during 2018 and has become a model hub for the country with its police techno gadgetry and applications as part of smart policing. “International dignitaries from Cambridge University, United Kingdom, US Consulate General and Sri Lanka visited the Hyderabad city police,” he said and thanked director-general of police for his encouagement and guidance.